Growing old is an inevitable process in our lives. When you mature and start approaching your 40s, your body especially your skin goes through some dramatic changes. The changes on the skin surface are mainly due to factors affecting the amount of collagen or elasticity. Wrinkles, fine lines and age spots may start to appear. External body factors such as medication, exposure to UV rays of the sun and pollutants also affect the skin leading to hyperpigmentation and premature aging. Even so, aging is a natural body process, and the best way to go about it is by taking good care of your skin. There are many ways you can maintain a youthful appearance even after your prime years. You need to make the best choices when it comes to selecting the right makeup and application techniques. As you grow old, your skin is in a transitional state. Just as your skin changes you as well need to revamp your beauty regime to one that will provide you with the required arsenal to turn back the clock and make you look the best version of yourself. When choosing the right tools and regimen that can help you to age gracefully, you need to consider the brand name behind the product. With a good brand name comes security and guarantee that the product is functional and delivers results. You should avoid brands that use alcohol or chemicals as ingredients in their production process. Here are three of the best makeup brands for 40-year-olds. The Young Blood brand has been in the market for more than 40 years delivering luxury mineral cosmetics. The company notes that all their ingredients come from naturally occurring minerals from the earth which are finely ground. Unlike any other makeup in the market, the brand does not have irritants chemicals, dyes or preservatives in their ingredient list. The brand comes with a signature blend of ingredients that include Rhodolite, Zincite, Hematite, and Malachite whose purpose is to protect the skin cells and tissues. The products from Young Blood are gently on the skin regardless of the type. 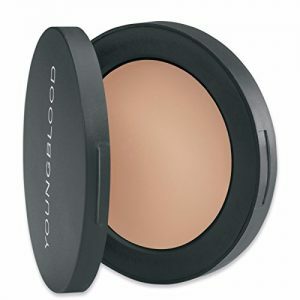 The YOUNGBLOOD Ultimate Concealer has a lightweight and creamy formula that offers complete coverage and helps to get rid of dark circles under the eyes as well as to finish off blemishes on the skin. It contains carnauba wax whose properties protect the skin from the development of fine lines. Any skin type can use the YOUNGBLOOD Ultimate Concealer as it was made by a paramedical esthetician to be safe and gentle even on patients with severe skin conditions. For more than 20 years the Studio Gear Brand has helped artists, designers and runway models standout with the impeccable quality in the different cosmetic options. The cosmetics have fast results and are long-lasting. The core of the Studio Gear Brand is its foundations. They create a perfect canvas and can last throughout the day giving you an ideal look. The formulas use high-grade ingredients and rich pigments to deliver professional beauty products that anyone from a beginner to a professional can use. 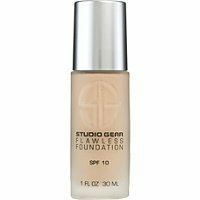 The Studio Gear Flawless Foundation is made up of vitamin A, C, and E that provide the skin with antioxidant protection. The foundation comes with an SPF of 15 that offer total broad-spectrum protection from both the UVA an UVB rays of the sun. It also contains Hyaluronic acid that keeps the skin hydration through the application period. The L’Oreal Paris brand has been in the market for years developing cosmetic products for men, women, and children of all skin types. The brand has five major beauty categories that include hairstyle, hair color, cosmetics, and skincare. It has products for use by 40-year-olds for the lips, face, eyes, eyebrows and the skin. The company recommends the use of a primer due to the changing of the skin texture when you are past your prime years. You as well should avoid using liquid eyeliners and get a waterproof pencil eyeliners. 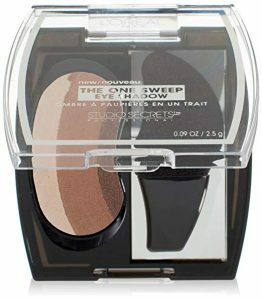 The One Sweep Eye Shadow by L’Oreal provides the eyes with a complete look with only one application. It comes with a unique applicator whose design fits with the shape of your eye making it easy to design, color and highlight with only one single sweep. The shadows are beautifully coordinated to look natural and enhance the color of the eyes. As you are getting older, you need to be well aware of the changes in your skin and get a beauty product that sorts out the problem. To identify the best product in the market, first, look through the best brands that are known to produce results and make your selection from one of them. 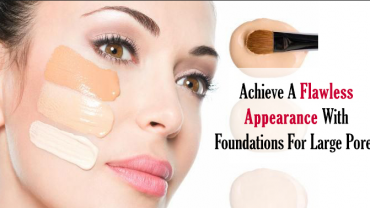 Just as the type of makeup is essential, the application process also needs to be taken into consideration. You also need to get into a nutritional diet and lead a healthy lifestyle if you want to look at the best version of yourself.